Many women have a condition called polycystic ovary syndrome, otherwise known as PCOS, without even knowing it. 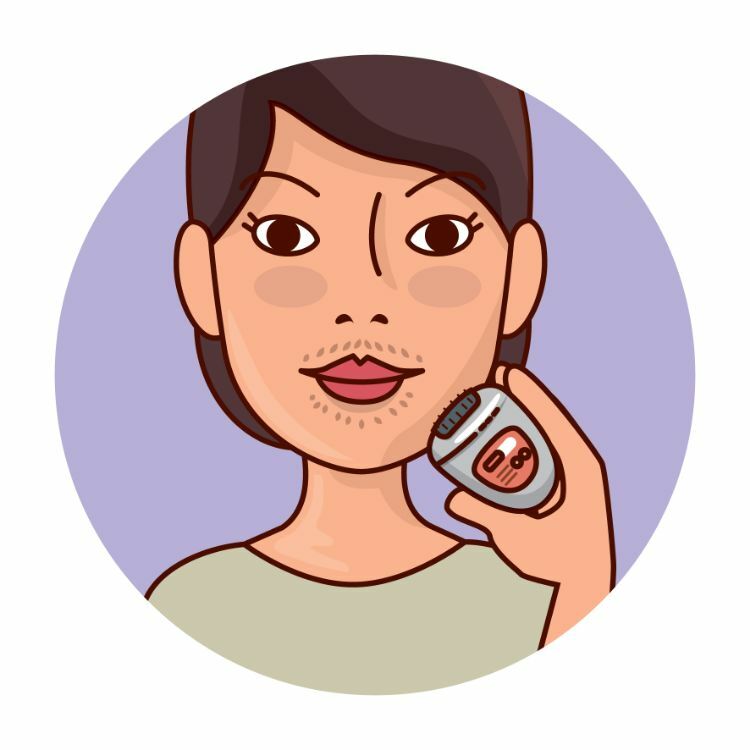 Often times, candidates with PCOS experience irregular periods and increased facial hair and acne, particularly in the chin, lip, and sideburns. This is the result of a hormone imbalance, and that often — but not always — PCOS causes cysts to form right on the ovaries. 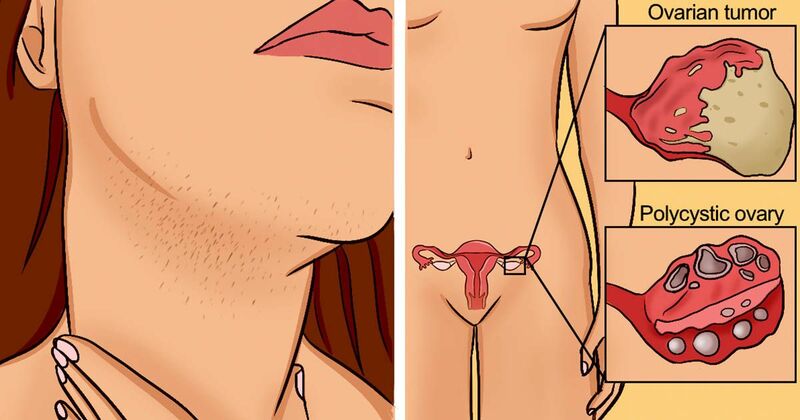 These cysts aren't harmful, but they do lead to hormone imbalances that can cause infrequent or prolonged menstrual periods, excess hair growth, acne and obesity. It's also important to get a diagnosis of PCOS early on so it doesn't lead to long-term complications like type 2 diabetes and heart disease. - Excess insulin: Too much insulin might affect the ovaries by increasing androgen production (male hormones), which could ultimately interfere with the ovaries' ability to ovulate correctly. - Low-grade inflammation: Studies have shown that women who have PCOS also have low-grade inflammation, which causes polycystic ovaries to produce androgens. - Heredity: PCOS can run in families, so if your mother or sister has it, you have a greater chance of getting it, too. The signs and symptoms of polycystic ovary syndrome start soon after a woman begins her period, but PCOS can also develop during the later reproductive years. There are many signs to look out for; however, individuals might be affected differently, and the symptoms worsen with obesity. You might experience depression or mood swings that seem out of character. Feeling a little down? Try one of these 7+ home remedies that will boost your mood. PCOS can also cause acne or very oily skin. 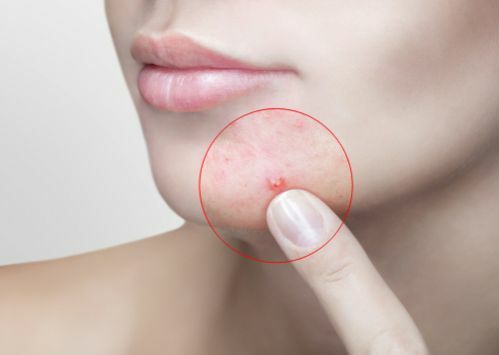 Pimples might be very deep and painful. Excess insulin interferes with the ovaries' ability to ovulate correctly. Treating PCOS is different for everybody. Your doctor may prescribe lifestyle changes like diet and exercise to help lose weight. Your doctor might also prescribe birth control to help regulate your period and to decrease androgen production. Each patient is different, though, so if you recognize any of the symptoms, you should talk to your doctor to get a diagnosis and learn the best way to treat your PCOS and symptoms.